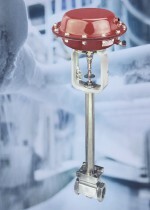 When precise, reliable flow control is required in challenging ultra-low temperature applications, such as cryogenic or other similar situations, Badger Meter control valves are said to be an ideal choice. Available from liquids handling specialist PUMP ENGINEERING, the extensive Badger range includes models such as the Series 9000, an ANSI Class 300 globe style valve with bolted bonnet and post-guided inner valve. Baxters Food Group says it is using an ABB variable speed drive (VSD) to help ensure consistent mixing of its range of sauces, dressing and marinades. The drive is used to adjust the mixer motor’s speed based on requirements for a particular product. Jonathan Wilkins, marketing director of industrial obsolete parts supplier, EU Automation explores the pros and cons of using traditional programmable logic controllers (PLCs) and newer programmable automation controllers (PACs).